Not every house project has to take months! 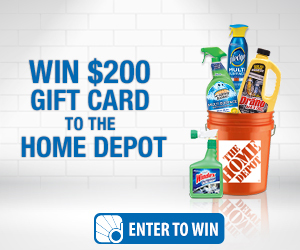 Click to get DIY ideas, test your knowledge on cleaning hacks, and enter to win a $200 Home Depot gift card! This Sweepstakes ends on 05/19/16 and you can ENTER ONCE to win.